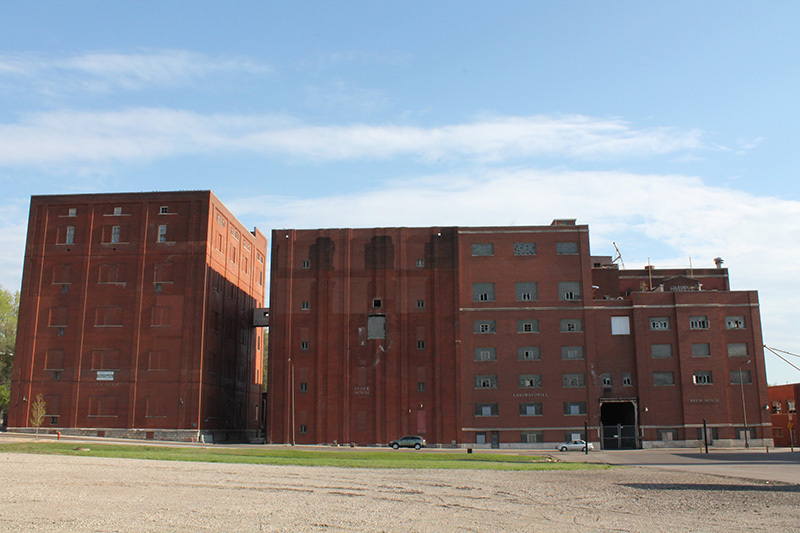 When German immigrant and former butcher/saloon owner Theodore Hamm bought a struggling business on Phalen Creek in St. Paul in 1864, would he have thought it would become one of the largest breweries in the country? 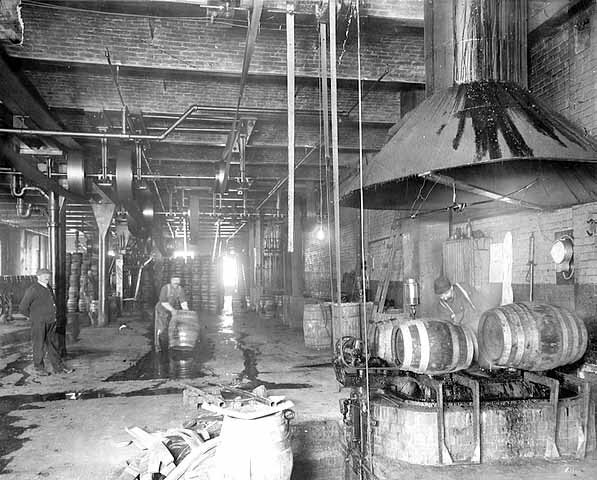 That first year there were five employees who brewed five hundred barrels of beer. 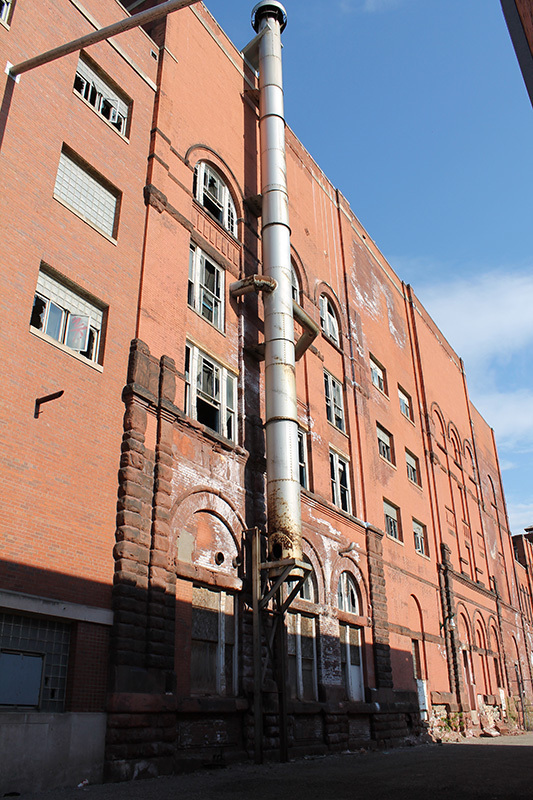 Hamm’s Brewery was then on the edge of the city and hard to reach in the winter. So the family built a dormitory for single men. His wife Louise cooked their meals and also provided food at noon for the married men. It was, of course, accompanied by beer, which could also be accessed during work hours. Louise also operated the storehouses and did the bookkeeping. 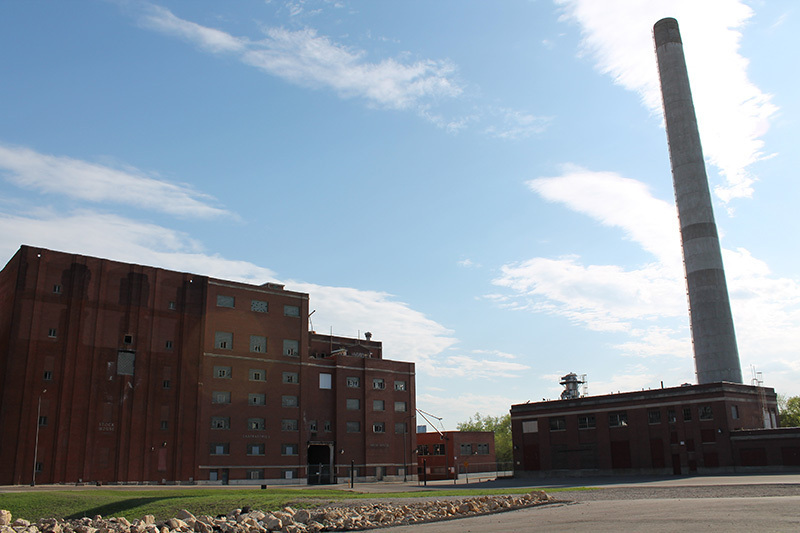 Hamm often invited the farmers who brought their grain to the mill to stay and have a beer. This soon turned into having a meal and Louise, who was deeply involved in company operations, to start a "bier garten." Under her direction, it became a popular destination. 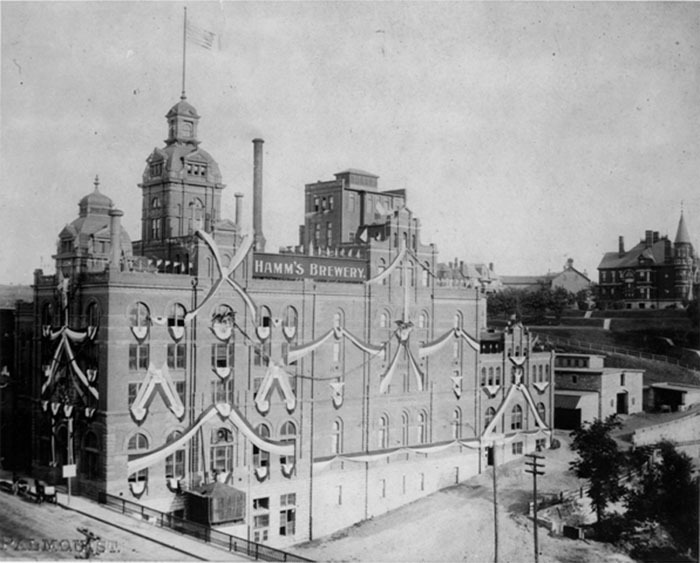 By 1885, Hamm’s Brewery had grown to seventy-five employees who brewed 40,000 barrels and the complex had grown to four acres. Deliveries kept fifteen to twenty wagons busy every day. 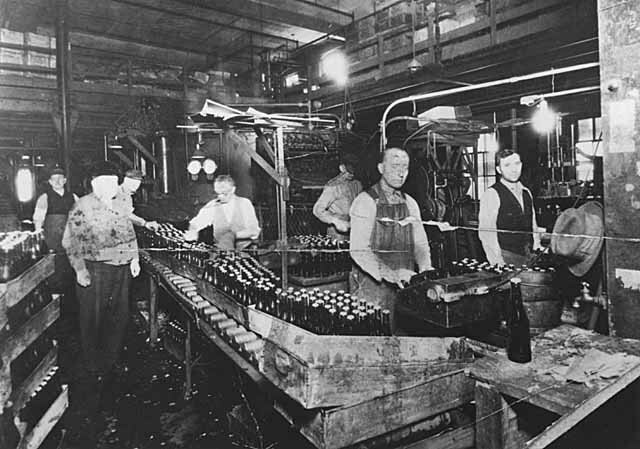 In 1894, the brewery expanded to include a bottling works and that was followed by artificial refrigeration in1895. 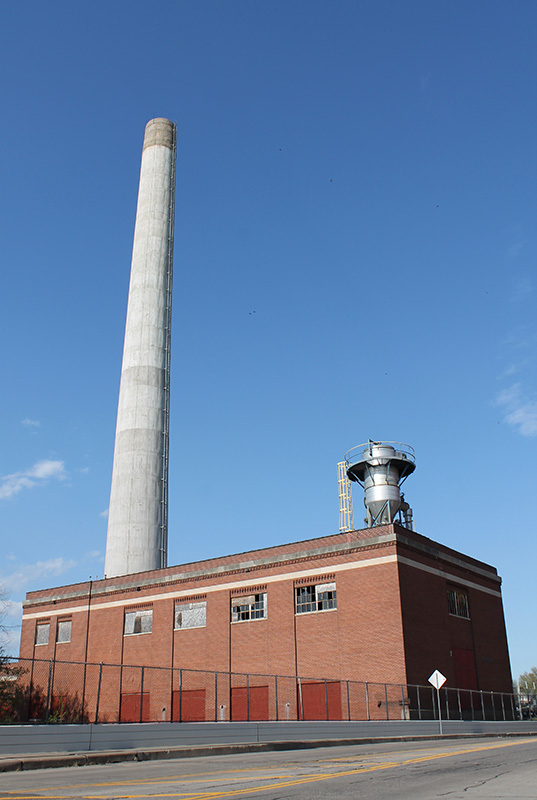 Theodore’s son, William, and grandson, William Jr. inherited the operation in 1903. 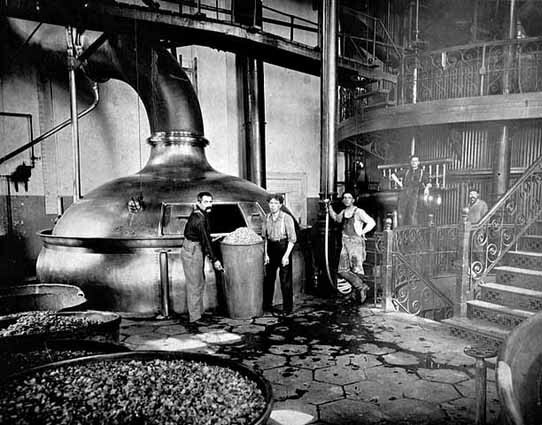 It continued to prosper until Prohibition hit breweries hard. 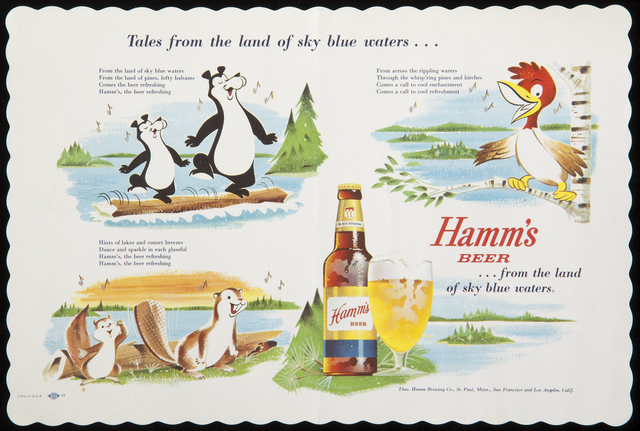 During that time Hamm’s survived by producing soft drinks, near beer, syrups and other food products. 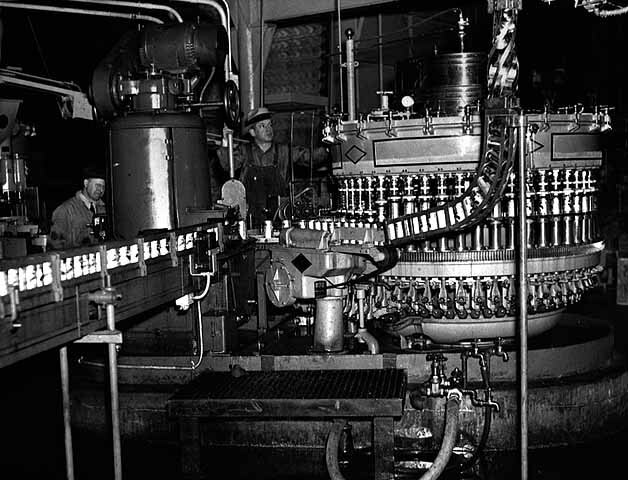 The repeal of Prohibition in 1933 was celebrated by a huge gathering outside the brewery and when a whistle blasted at 12:01 A. M. on April 7th, the crowd roared and blew car horns. It was estimated that by 6 A.M. that morning, 100,000 cases of beers had been shipped. The time came when no family members wanted to run things and in 1968 the company was acquired by a series of owners. 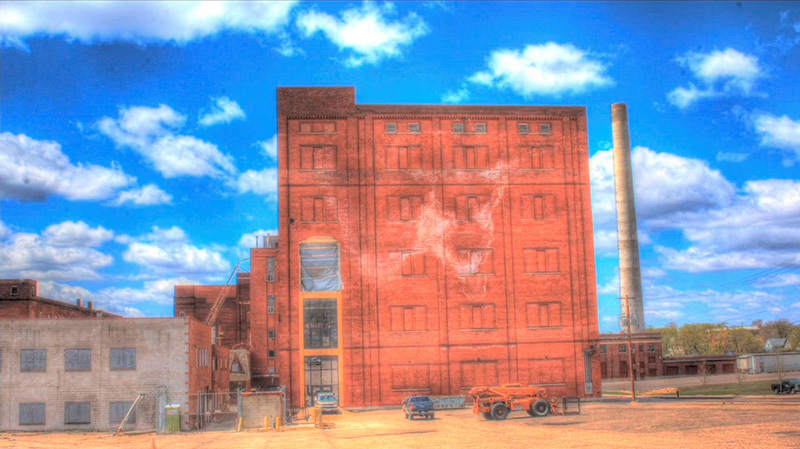 The last company on the site was Stroh, which operated the brewery until 1997. You can see most of the buildings, in various states of re-use, spanning Minnehaha between Payne Avenue and Arcade Street. 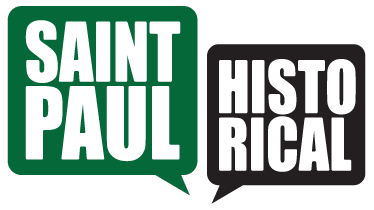 Steve Trimble, “From the Land of Sky Blue Waters,” Saint Paul Historical, accessed April 18, 2019, https://saintpaulhistorical.com/items/show/1.